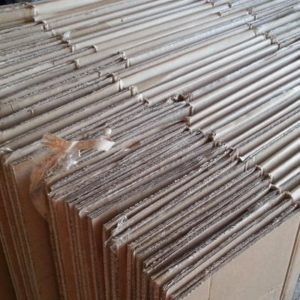 Cardboard is one of the most common materials found in American homes due to the fact that almost anything you purchase comes in packaging made of cardboard. It is durable, light-weight, and relatively cheap so makes a great container for anything from food boxes to small appliances to large furniture. Most cardboard can and should be recycled whenever possible. If you are fortunate enough to have curbside pickup of your recyclable items then should certainly break down your cardboard boxes and place them into these bins for recycling. If your home is located in area where you do not have recycling or if you have a large amount of cardboard to recycle you may want to locate a local cardboard recycling center. 1 Where Can I Recycle Cardboard in My Area? Where Can I Recycle Cardboard in My Area? Most local recycling centers will accept all paper and cardboard products. Some facilities will pay for cardboard while others will accept it without compensation. One thing to keep in mind is that the payout for cardboard is not very much unless you have a significant amount. It is often businesses that do a lot of shipping and/or receiving and have pallets of recycled cardboard that fall into this category. Nevertheless, you should still make an effort to recycle as much cardboard as you can. By Recycling cardboard it keeps it out of landfills and saves valuable space for items that are not able to be recycled. There is also a great deal of energy savings accomplished when using recycled vs. new cardboard. Remove all plastic, foam, and other material such as packing peanuts from the boxes. You will need to break down the boxes so they are flat. For thick boxes you may need to use scissors or a box cutter. Separate the corrugated boxes from the boxboard. Boxboards are the thin boxes commonly used for food packaging such as a cereal box or the box that a 12 pack of soda comes in. Corrugated boxes are the thicker ones that have multiple layers and are much stiffer and do not bend as easy. Some types of cardboard have special wax or plastic lining such as those used in storing of liquids. These should be separated as they go through a different process for recycling. 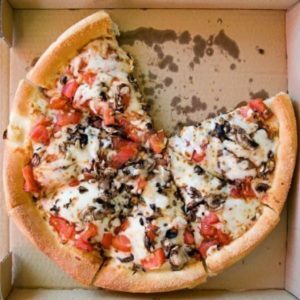 Pizza boxes that have been stained with grease should also be separated and placed in the trash as these cannot be recycled. It is not necessary to remove tape, staples, or packing labels as these will be separated and removed during the recycling process. The number of boxes used in the average home move equals more than 1/2 of a one ton pine tree. The energy required to make boxes from recycled cardboard is 25% less than the amount of energy used in making new cardboard boxes. An average American uses 7 trees worth of cardboard, paper, and products made from trees. 1.1 barrels of oil is saved for every one ton of cardboard recycled.